Jannis Kozatsas was born in Athens in 1978. He studied social anthropology and social politics at the Panteion University of Athens and got master degrees in history and philosophy of science and technology from the National and Kapodistrian University of Athens and in prehistoric archaeology from the Aristotle University of Thessaloniki. In 2015 he got his PhD in philosophy (Hegel, German idealism) from the Friedrich Schiller University of Jena, Germany. 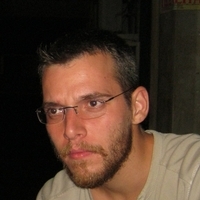 Since 2017 he is post-doc research fellow at the Panteion University of Athens, working on issues of theoretical archaeology and anthropology of technology, as well as PhD candidate at the Aristotle University of Thessaloniki, studying Neolithic pottery and ceramic technology.